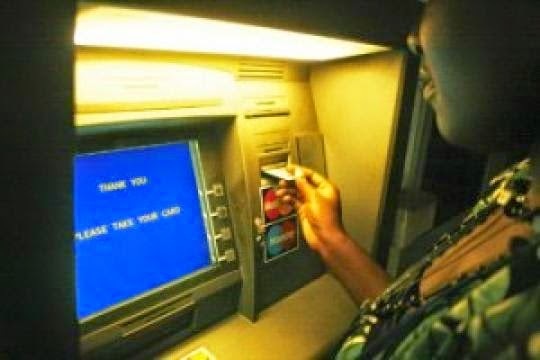 ATMs located in highbrow areas in Lagos particularly in Victoria Island and Lekki, might have been compromised following reports of hackers planting fraud devices on some machines so as to get the pin codes and other details of the ATM cards of unsuspecting users and use them to carry out fraudulent activities. A banker who spoke with Punch said "A number of the ATMs in Victoria Island and Lekki axis have been compromised by hackers. Some of these fraudsters visit those ATMs very late in the night or very early in the morning to fix some fraud devices on them, which are capable of collecting cardholders’ information, including their passwords. They come back later to remove those devices. Also confirming the report, the Vice-Chairman, Committee of e-Banking Industry Heads, Mr. Dele Adeyinka said banks have recently installed anti-skimming devices on their ATMs so as to checkmate such illicit activities. While some of the cardholders’ information collected by the fraudsters were being used to commit online-related frauds locally, a large number was used to clone ATM cards and used to shop in malls abroad, especially in the US. As a way to checkmate the activities of these fraudsters, the Central Bank of Nigeria in January this year issued a directive to all Nigerian banks to prevent payment cards (debit and credit) issued by them from working in fraud-prone countries, including the US, South Africa and China and that they would be liable for any fraudulent transaction carried out in those countries using a customers cloned ATM card. The CBN in another circular released on February 1, 2015, instructed all Nigerian banks to stop the payment/ATM cards from working in non-Europay, MasterCard and Visa countries. The circular stated that ATM cards that would work in designated countries must be activated only during the period the customer would be spending outside Nigeria.